This owner can expect to save close to 30% of their electrical costs by using the NRB Free Cooling Chillers. With integrated condenser head pressure control, this allows inverter fans to operate at high speed even on the coldest days. Aermec maximizes the free cooling energy savings which provides higher savings than the competitors. 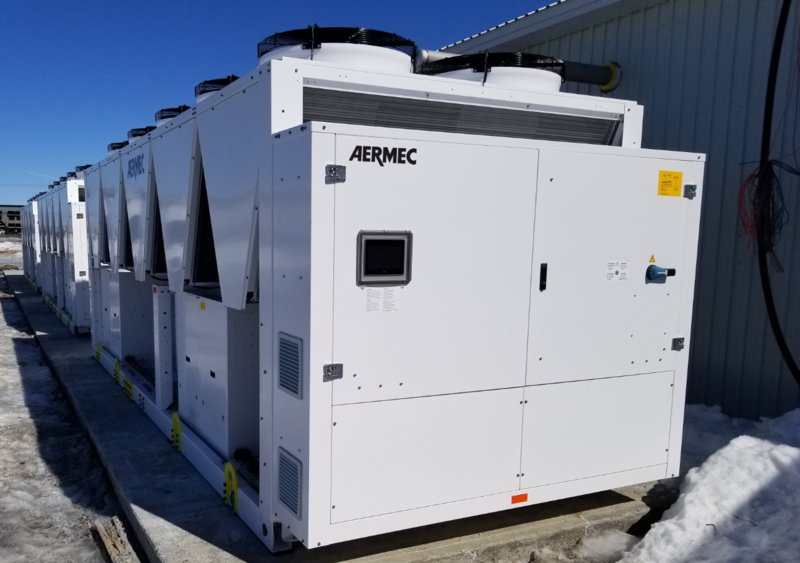 The built-in Aermec high efficiency desuperheaters offer even higher efficiencies by providing free heat when the compressors are in operation. Imagine free cooling and free heating all from one unit, what a concept!